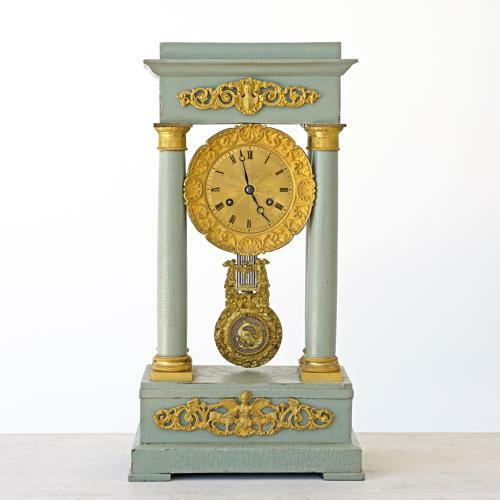 A stunning 19th century Empire portico mantle clock with 8 day movement and featuring four pillars with fine engine turned ormolu capitals, a painted wood case embellished with beautiful gilded bronze mounts to the top and bottom panels, a gilded bronze dial with Roman numerals, and decorative gridiron pendulum. French circa 1850 with later paint. Professionally serviced and complete with a full years movement guarantee.